Cloud-based technology solutions are becoming more and more prevalent in both everyday life and businesses of every size. From consumer-focused technologies to enterprise-scale systems that leverage offsite storage for everything from data retention to high-end computer processing, cloud solutions are seemingly everywhere with no end in sight. But a growing segment of businesses large and small are beginning to rely more and more on cloud-based phone and voicemail solutions - and the reasons why are as diverse as they are many. 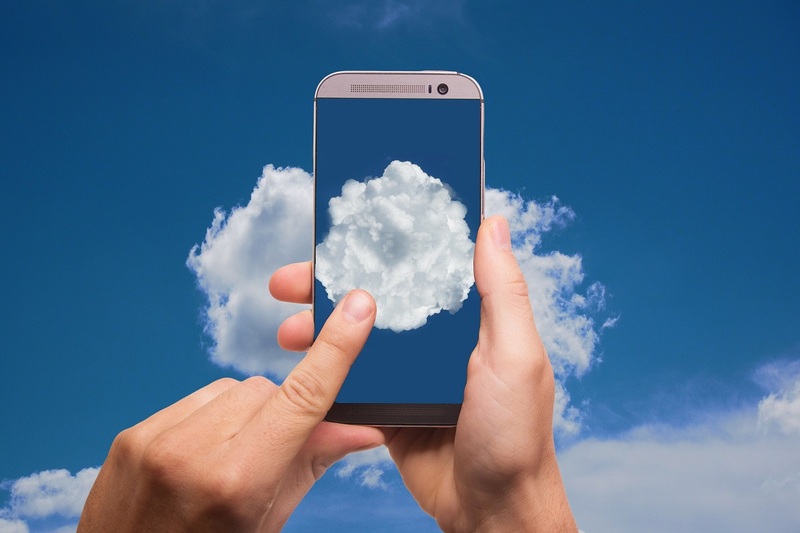 Before you invest in a cloud-based voicemail system, ask yourself these questions and be sure to do your research into the many cloud-based voicemail providers in the market today. What’s Your Company’s Scope and Scale? While large, sprawling organizations are seen as most primed to take full advantage of cloud-based phone and voicemail solutions, smaller, scrappier companies have plenty of reasons to take a hard look at these scalable, time-saving solutions. Especially for companies with a limited budget for overhead like IT infrastructure and SaaS tools, cost is a major concern for VoIP systems and cloud-based voicemail solutions. Increasingly, companies have been avoiding the monthly costs of employee phones by implementing low-cost software phone solutions that piggyback off existing, personal wireless carrier subscriptions. Before investing in a cloud-based phone or voicemail solution, ensure the provider meets your budget and is able to scale up with you as you grow and prosper into the future. Do You Have Multiple Locations or Remote Workers? For internal communications, services like Slack and Skype have long dominated the remote team communication space. However, these services are lacking when compared with a dedicated cloud-based phone and voicemail platform. For organizations who employ remote workers, have multiple locations, or hire long-term contractors for discrete projects, having a unified phone system accessible from anywhere is a huge advantage and a genuine team-building asset. Does Your Revenue Depend on a Reliable Phone System? Compared to a traditional phone system, managed phone and voicemail systems based in the cloud can easily be integrated into existing CRM, ERP, or ATS solutions to track efficacy, agent performance, and help you better analyze both your internal efficiency and even customer behavior. Especially with companies that rely on inbound or outbound sales calls and high-volume support or customer service requests, tracking this data and optimizing based on trends is a crucial element in order to streamline your costs and get the most out of your employees. Companies with busy sales, client relations, or customer service people should take a hard look at the time spent simply sorting through voicemails each and every day. With certain cloud-based voicemail solution, individual users, team leads, and administrators can see a near-instantaneous, hyper-accurate readout of received voicemail messages on any device. This not only cuts down on time lost due to spam, non-pertinent, or incoherent calls, but helps your team prioritize their responses without having to listen to a barrage of voicemails before acting appropriately. Especially important for organizations dealing with high-volume calls and voicemails, streamlining this crucial task can be a considerable cost-saving measure that can be implemented alongside your existing phone system. Is Speed in Response a Major Factor for Your Organization? As we mentioned before, a VoIP or cloud-based phone and voicemail solution offers incredible opportunities for increased efficiency organization-wide. Especially for those operating at high call volumes and where timely responses could make or break certain deals or sales calls, having the ability to quickly and effectively sort and prioritize important messages and send them to the appropriate agent or employee can be a major advantage when the clock is ticking and every second counts. Plus, having a super-accurate, human-aided transcription of your crucial voicemail messages delivered via email to any connected device can help your team work smoother, faster, and more effectively. Do You Have Outbound Sales Personnel? For companies that rely on outbound and outgoing sales agents working in the field, having a cloud-based phone system to track their call times and compare ROI is a major advantage in switching to a cloud-based phone or voicemail provider. An in-office sales coordinator can facilitate incoming calls, direct important inquiries to the appropriate agent in the field, and filter through spam or low-priority calls, therefore saving your individual sales personnel valuable time and energy. In addition, sales professionals can quickly read through and sort their voicemail messages via email on any device, allowing for additional efficiency when stuck in a long meeting or ongoing call. Does Your Company Operate a Customer Support Line? Whether you have a small team or large, sprawling organization with a dedicated customer support center, time and efficiency are key. Ensuring your customer service professionals operate as effectively and precisely as possible is a major concern, so having the ability to quickly prioritize and delegate incoming customer calls or voicemails to the appropriate agent, customer service professional, or even engineer is a major advantage when considering the cost of operations in a customer support team of any size or scale. For a 14-day free trial of the award-winning cloud-based voicemail solution Phone Cloud Hub, sign up today or use the contact form to learn more about adopting this versatile and highly-efficient solution for your existing phone system and begin reaping the benefits of a modern voicemail solution for your business or organization.